Did you know that only 90% of child care costs in the United States are paid by parents, while tax payer dollars are used to pay the other 10%? Even though many people believe that parents should assume all responsibility for caring for their children, there are many parents who cannot afford to pay for day care providers, even if they work full time. There’s not secret that raising a child is difficult, but one of the most difficult things about being a parent is having to leave them behind to go to work each day. But the average cost of living in the United States in 2014 makes is impossible for many families to sustain themselves on one income. Thus, households with both parents working full-time jobs has been the norm since the 1960s. However, just because both parents are working doesn’t mean that families are able to make ends meet. For families in which both parents work, the cost of private day care is often not worth it unless both parents have jobs that pay well. Unfortunately, the current state of unemployment in the U.S. is such that even highly educated and experienced parents have no choice but to work jobs in the service industry for which they are “overqualified.” As you might expect, it is hard to help support a family and pay day care providers on a minimum wage salary. The good news is more companies are adding corporate childcare in order to help their employees who are parents of young children. 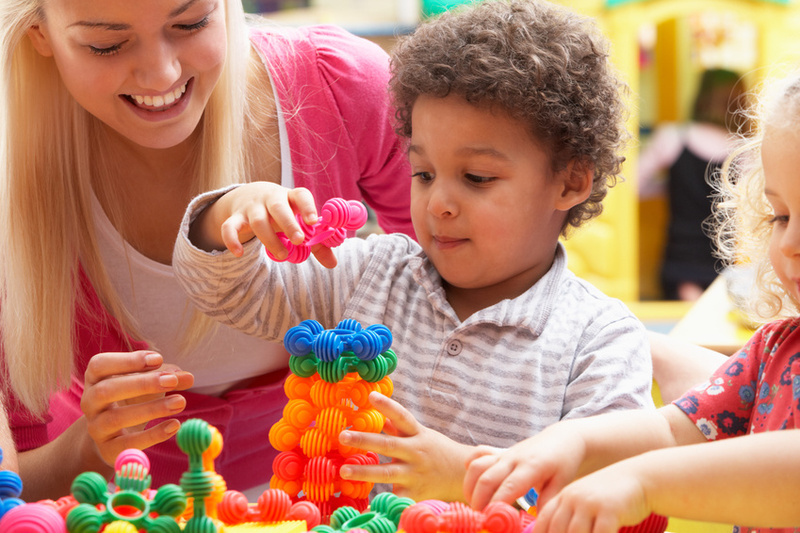 Corporate childcare solutions not only save parents the added expense of paying for private daycare, but also eliminating the stress of selecting a daycare facility that they feel is right for their children. This entry was posted in Corporate daycare, Employers with onsite daycare, How to find a good daycare. Bookmark the permalink.